Around the world, excitement is growing for exascale computing and the new era of discovery and innovation it will enable. A consortium of European nations plans to deliver two exascale systems by 20221. The US Department of Energy recently announced intentions to by 2021 deploy the first US exascale system based on Intel® architecture, demonstrating their confidence in Intel’s roadmap and exascale technology portfolio2. China hopes to field an exascale system by 20203. Exascale supercomputers – systems capable of a quintillion calculations per second – are now on the horizon. So, too, are unprecedented opportunities to transform industries, solve society’s toughest challenges, and drive extraordinary scientific discoveries via the convergence of artificial intelligence (AI), big data analytics, and traditional high-performance computing (HPC) workloads. It’s a thrilling time to work alongside my colleagues at Intel to deliver this new era in computing capabilities. To meet our customers’ requirements and new timelines for global deployments of exascale, we are modifying our portfolio investment approach and accelerating technologies on the Intel high-performance computing roadmap. Intel has demonstrated the ability to enable efficient, multi-workload high-performance computing at scale across many different applications – and we’re excited about the technologies we’ll bring to bear to further democratize massive scale computing. One step we’re taking is to replace one of the future Intel® Xeon Phi™ processors (code name Knights Hill) with a new platform and new microarchitecture specifically designed for exascale. Combined with our comprehensive HPC solutions portfolio spanning compute, storage, I/O, and software, the updated roadmap is well poised to energize the exascale revolution. Though exascale presents a compelling future, the first exascale systems are still three to four years away. Customers seeking nearer-term HPC solutions can turn to Intel® Scalable System Framework (Intel® SSF), our complete, balanced platform architecture for overcoming common system limitations like I/O and memory and running complex workloads like deep learning, modeling, and simulation. Intel SSF can be extended over time by adding current and future Intel® processors and accelerators, so it’s a great choice for deployments of any size -- from small workgroup clusters to the largest supercomputers. Intel SSF has been adopted throughout the industry as the foundation for HPC solutions from many leading system vendors. I’m pleased to announce the first Intel® Select Solutions for HPC, which build on and extend the value of Intel SSF. Intel Select Solutions, developed and delivered by Intel and our partners, help customers more easily deploy the optimized configurations needed for today’s broad array of workloads and applications. 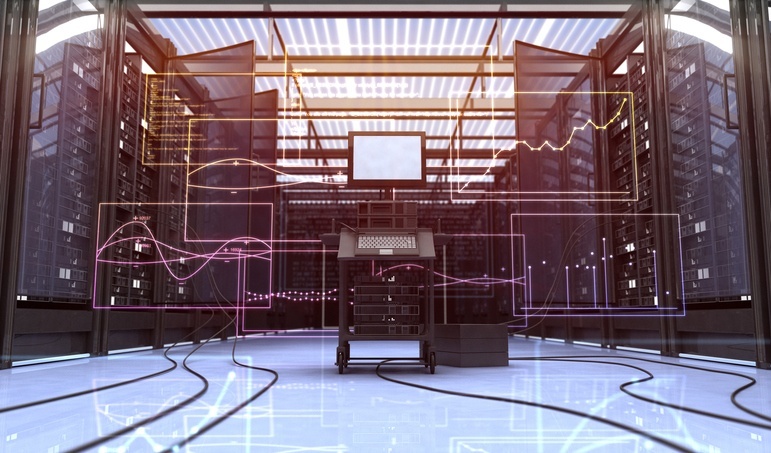 These solutions help customers adopt the right system for their needs, with verified hardware and software configurations for targeted HPC workloads that reduce evaluation time and speed deployment, helping more users realize the benefits of HPC. The initial Intel Select Solutions for HPC will focus on simulation and modeling clusters for manufacturing enterprises and an update to the genomics analytics solution in collaboration with the world-renowned Broad Institute of MIT and Harvard. Intel Select Solutions for Simulation and Modeling will help more companies accelerate product design with greater levels of customization and optimization. The Intel Select Solution for Genomics Analytics delivers performance, scale, and ease of deployment, providing scripts to deploy Broad Institute Genome Analysis Toolkit (GATK) Best Practices pipelines on optimized hardware to fuel further life science research to improve medical treatments. Intel has partnered with E4 Computer Engineering, Atipa, Boston Ltd, Colfax, Exxact, Inspur, Lenovo, Megware, Nortech, RSC, and Supermicro to deliver the first Intel Select Solutions for HPC. For more information on Intel Select Solutions for HPC, please visit Intel Select Solutions. Supercomputers are a key tool for discoveries and innovations that help improve society. Intel is honored to once again be the processor supplier of choice for the vast majority of the systems in the November ‘17 TOP500 list, which was announced earlier today. Intel® Xeon® and Xeon Phi processors are the foundation for a record-breaking 94.2% of TOP500 systems, while our Intel® Omni-Path Architecture is the leading 100gbps fabric. The number of Intel® Xeon® Scalable processor-based systems in the November ’17 TOP500 list is especially exciting. Released in July, the latest Intel Xeon processor represents a tremendous improvement for HPC with new features and performance enhancements. The November ’17 TOP500 shows 17 Intel Xeon Scalable processor based systems4. These systems deliver greater than 25 PetaFLOPS of performance; the most of any new Xeon processor on the 1st Top 500 list after launch. These are just a few of the topics we can’t wait to discuss with members of the HPC community at SC17 this week in Denver, Colorado. Stop by Intel Booth #1301 for demos highlighting Intel HPC technology solutions, speakerships and hands-on interactions with industry thought leaders and networking with peers from the HPC community. If you’re not able to connect with us at SC17, please visit http://intel.com/hpc for more information on Intel’s hardware and software solutions for high-performance computing. 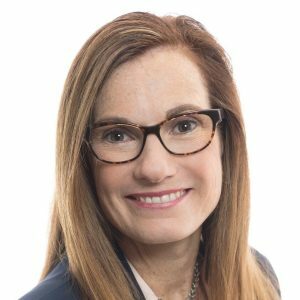 Trish Damkroger is Vice President and General Manager of the Technical Computing Initiative (TCI) in Intel’s Data Center Group. She leads Intel’s global Technical Computing business and is responsible for developing and executing Intel’s strategy, building customer relationships and defining a leading product portfolio for Technical Computing workloads, including emerging areas such as high performance analytics, HPC in the cloud, and artificial intelligence. Trish’s Technical Computing portfolio includes traditional HPC platforms, workstations, processors and all aspects of solutions including industry leading compute, storage, network and software products. Ms. Damkroger has more than 27 years of technical and managerial roles both in the private sector and within the United States Department of Energy, she was the Associate Director of Computation at Lawrence Livermore National Laboratory leading a 1,000 person group that is one of the world’s leading supercomputing and scientific experts. Since 2006, Ms. Damkroger has been a leader of the annual Supercomputing Conference series, the premier international meeting for high performance computing. Trish has been the General Chair for HPC’s premier industry event Supercomputing Conference 2014 and has been nominated the Vice-Chair for upcoming Supercomputing Conference in 2018 and has held many other committee positions. Ms. Damkroger has a master’s degree in electrical engineering from Stanford University. Trish was nominated and selected for the HPC Wire’s People to Watch list in 2014 and recently in March 2018.